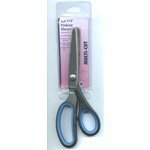 Small, strong, wide opening clips for use in quilting and sewing. An essential bit of kit for every stitcher. 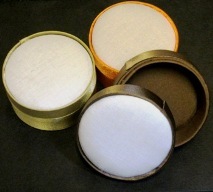 Plastic storage box with 4 different coloured chalks inside. 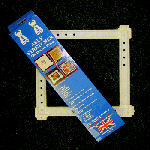 Plastic loom to make pom poms. 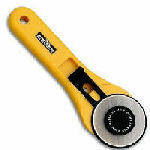 Small rotary cutter with retractable blade. Cushion grip handle. 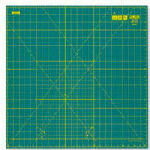 Cutting mat measuring 24" x 18". Lovely soft woven medium weight fusible interfacing. Sold by the metre. 90cm wide. Lighter weight cotton poplin paper backed fabric to print permanent images on to using your inkjet printer (although we used a laser jet and it worked pretty well too!) Great for transferring images ready to stitch. Contains 5 sheets each measuring 8.5" x 11"
Slightly heavier weight cotton twill fabric suitable for printing images on to fabric using your inkjet printer (although we used a laser jet and it worked pretty well too!) Great for transferring images ready to stitch. A very quick and simple way to make yo-yo's, also known as Suffolk puffs. Fantastic for using up small pieces of fabric. 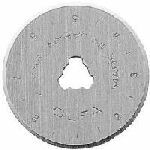 High quality steel blades. Handle colour may vary. YOU MUST BE OVER 18 TO BUY THIS ITEM. 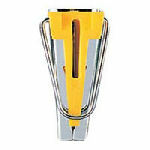 Quality stainless steel blades. Handle colour may vary. YOU MUST BE OVER 18 TO BUY THIS ITEM. 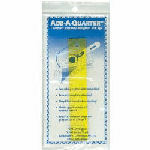 A 6" x 24" quilting ruler that conveniently folds down to 6" x 8" for easy storage or for taking to classes and clubs. 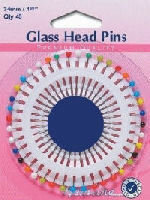 Good quality clear acrylic marked with both black and white. 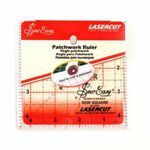 Sew Easy Quilting Ruler 6.5" x 1.5"
A small but robust acrylic template - total size 2.5", so useful when cutting those jelly rolls! 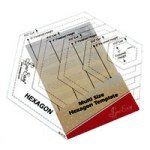 Sew Easy Patchwork Ruler 4.5" x 4.5"
For making small hexagons 2" finished size. Good robust acrylic- 2.5" across. 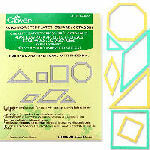 For making half square triangle pieces from 1/2" to 4 1/5" finished size. Built in 1/4 seam allowance. 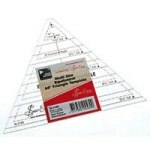 Robust and clearly marked template/ruler with built in 1/4 seam allowance. Upto 12 7/8" by 6 1/2". One side marked in red for the 'geese', the other in black for the side triangles. Built in 1/4 seam allowance. 3 3/8" x 8 3/4" triangles with an arched top. Built in 1/4 seam allowance. 4 1/2 x 6 7/8" 45 degree petal shape, ideal for shapes from 1" to 5". Built in 1/4 seam allowance. 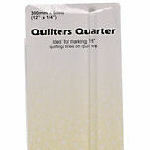 200mmm x 6mm - a clear tool for making 1/4" quilting lines. Making your own bias binding with this great little gadget.